Pancreatic cancer is among the most aggressive and deadly cancers, with a five-year survival rate of less than 9%. While efforts to personalize cancer treatment have improved survival rates for other types of cancer, including breast and lung cancers, the precision medicine approach remains untapped for pancreatic cancer patients. This may soon change with a new study out of the University of Pittsburgh Medical Center, where researchers recently completed the largest genetic profiling effort to date on thousands of pancreatic ductal adenocarcinomas. Their discoveries, published March 2 in Gastroenterology, reveal new, much needed, biomarkers for diagnosis, treatment and early detection of this recalcitrant cancer. Overall the researchers examined 3,594 pancreatic tumor samples from both primary and metastatic lesions. Profiling more than 300 genetic alterations of known clinical relevance to various types of cancer, including pancreatic cancer, they paint a detailed genomic portrait of each tumor. Individually, these portraits reveal the molecular drivers within each tumor, which may help to point doctors towards effective treatments. Together, they give researchers a comprehensive view of the genetic landscape across patient populations, to improve our understand of the disease and guide better pancreatic cancer screening strategies. Encouragingly, the study reveals common molecular drivers that may be targeted with currently available cancer treatments. “We found 17% of tumors to contain genetic alterations that might make the tumor cells susceptible to currently used anti-cancer agents,” said lead author Aatur Singhi, M.D., Ph.D., surgical pathologist at UPMC and assistant professor of pathology at Pitt. Among these are mutations in DNA damage repair pathways, including the infamous BRCA gene family, well-known for its role in breast cancer. These inherited mutations may serve as early screening biomarkers for those predisposed to pancreatic cancer. In addition, they may guide targeted treatments. “The BRCA-FANC family of genes confers sensitivity to DNA strand-damaging platinum-based cytotoxic regimens (e.g. FOLFIRINOX) and PARP inhibition,” says Singhi. “People have been looking for such markers for a long time, and our study shows that it’s possible to break pancreatic cancer patients into different treatment buckets,” said senior author Nathan Bahary, M.D., Ph.D., oncologist at UPMC Hillman Cancer Center and associate professor of medicine at Pitt. They study also reveals biomarkers that may help doctors identify pre-cancerous lesions for removal, before they become malignant. 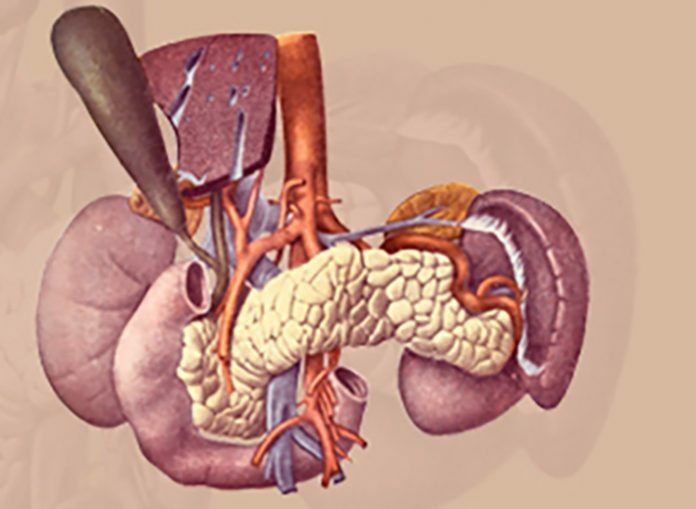 While pancreatic cysts are common, most do not develop into cancer. Singhi and colleagues discover progressive accumulation of specific mutations that drive the evolution of benign pancreatic cysts into malignancies. By testing cystic fluid for these mutations, it is now possible to predict which will become cancerous and prevent the disease altogether by removing these lurking time bombs. These early screening biomarkers can easily be added to the PancreaSeq test, a clinical screening test developed by Singhi and already in use at many medical centers including UPMC to screen common pancreatic cysts for cancerous mutations.